Courtesy of THIEBAUD BIOMEDICAL DEVICES, this application is the official program for the Marrakech World Aesthetic Conference (MWAC) 2012. Welcome to the first edition of the Marrakech World Aesthetic Congress! On behalf of the scientific directors, I would like to express my deepest gratitude to His Majesty The King MOHAMMED VI for having granted Royal Patronage to the Marrakech World Aesthetic Congress 2012. This testifies the special interest and care of His Majesty to the development of our specialty and to the innovative field of regenerative surgery and medicine in the Kingdom of Morocco. This first edition of the MWAC offers an exciting program given by internationally renowned specialists. The Congress board of directors along with eminent members of the ISPRES has organized a two days full immersion in the world of fat grafting. Thus, the latest aspects of micro fat grafting, Adipose Derived Stem Cells and stem cell therapy will be covered in all aspects. This will be one of the highlights of MWAC 2012. The intensive course on volumetric reshaping was designed in a new format in which each session consists of a « practical teaching course » exploring in detail a particular region of the face. 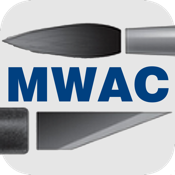 Novel Artistic Concept of facial beauty and high definition anatomic video dissections will also be a highlight of MWAC 2012. The social program with the legendary Moroccan hospitality will make this congress an unforgettable event.